Startupper Awards 2017 ceremony was held on Tuesday, July 11th, 2017, at Interamerican headquarters, at which there was a great turnout and among the audience were representatives of many Startups. 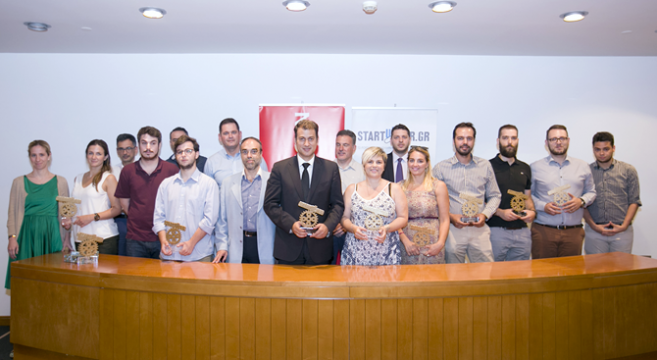 Startupper Awards is an initiative of Startupper.gr and were held for second year in a row. These are the only awards in which the Startup community has the first say, after highlighting the list of final applications, which was set to an open electronic poll for the general public through the E-SURVEY platform. Mr. John Kantoros, CEO of Interamerican Group of Companies, in his greeting at the opening of the event, focused on the efforts of the founders of the Greek Startups, which are a bright hope for the country’s future. These kind of efforts can develop innovation for the benefit of all, even large companies, through synergies and partnerships, as Mr. Kantoros pointed out. It should be noted that Interamerican operates an internal incubator in order to develop and implement ideas from people working within Interamerican group of companies. 1st Place: Workable, a platform that offers enterprises and organizations easy management of the whole hiring procedure. It has accomplished world wide success and has presence throughout the world. 2nd Place: Reportbrain, the company analyzes big data, which are useful and crucial for insights for enterprises . 3rd Place: Viva Wallet, the first Fintech in Greece providing digital payments. 1st Place: Quizdom, the well-known quiz game is available as an application for smartphones and already has millions of users. Today, its expanding its way towards the education sector. 2nd Place: Parky, a service that discovers available parking spots at private parkings. 3rd Place: Spitogatos.gr, online house rental service. 1st Place: Openichnos, is a Cretan startup that has created an energy-independent and fully portable unit of yacht tracking. 2nd Place: BetterMe, offers holistic and personalized well-being services through a biological hair tissue test. 3rd Place: Funk Martini, is a marketplace of beauty services. 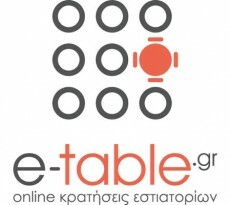 Honorary Prize: Stavros Niarxos Foundation. Stavros Niarxos Foundation supports non-profit initiatives and further structures of the Greek Startups ecosystem in the fields of competitions and sponsorships. The Startups that won the first place in each category, were awarded with a Huawei mobile phone. As of the rest of the companies, they were handed gift-checks as well as subscriptions from Public and Readpoint. 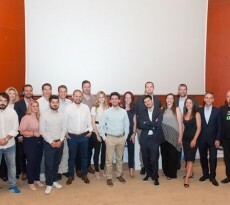 Investment 1M euros at Nubis from Elikonos Jeremie Fund!